What Does 1 Thessalonians 2:3 Mean? Paul always kept the believers at Thessalonica in his prayers, because he was well-aware of their work of faith, their labour of love and their patience in hope. 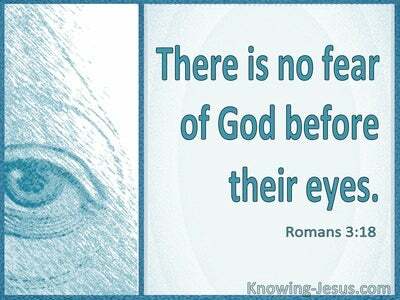 They had formerly been idol worshippers, but had responded to the good news of the gospel of grace, and were wonderfully born again into the body of Christ and the kingdom of God. However, there were those that questioned Paul's legitimacy.. and falsely accused him of improper behaviour and ungodly motives. 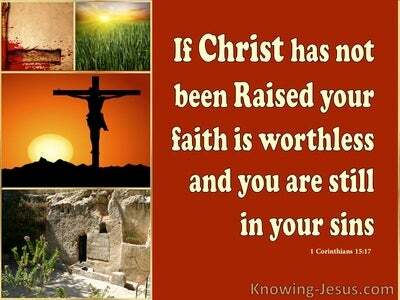 But godly character is the hallmark of a Christian.. which caused Paul to defend himself against these accusations. And in these early verses, he laid out the manner and means of his ministry, and his motivation in sharing the gospel of God, with Jew and gentile alike - for His apostleship was appointed of God and not of man. He reminded them how he was the one that brought them the good news of the gospel, and of the spiritual fruit that had formed in their lives, due to their salvation. He reminded them of the resistance he received from so many, and of the shameful way that he had been treated at Philippi and other cities in the region. He reminded them how he boldly taught the good news of Jesus Christ, and crucified, risen and ascended into glory.. despite the intense hostility his message received.. and the negativity that he received from so many. He reminded them how he had received the gospel, which he preached to them, and from Whom he had received the message.. for Paul neither received it from man, nor was he taught it, but he received it through a revelation of the glorified Jesus Christ, Himself. 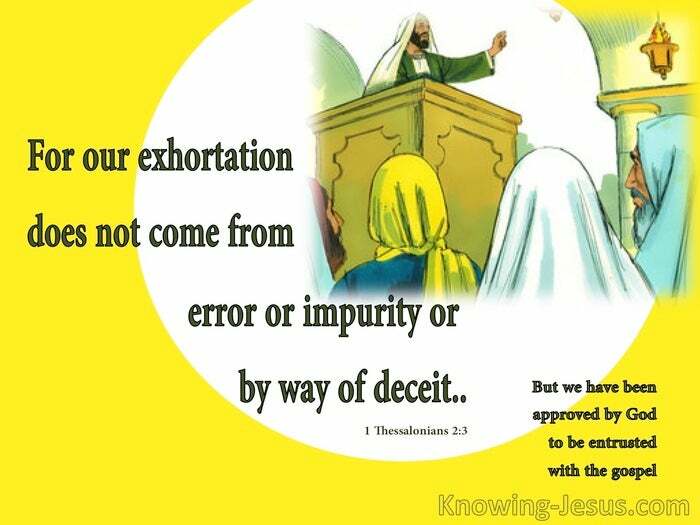 Paul's exhortation does not come from error or impurity or by way of deceit. 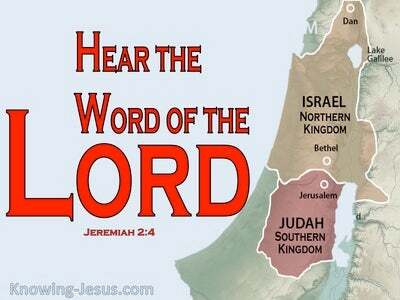 His message had been given to him by direct revelation from the Lord Jesus Christ. Paul had been intercepted on the road to Damascus, by the risen, ascended and glorified Lord Jesus, and he spent time, in the desert, being taught by the Spirit of Christ Himself. He was not teaching a false or deceitful message that contained error or impurity, but the truth of the glorious gospel of God - that he had received by direct revelation. Paul had been entrusted with the gospel message of salvation and was entrusted with many mysteries, that had been hidden from ages and generations.. But now, as then, there are those that question his word, denounce the legitimacy of Paul's epistles.. reject his teachings as an apostle of Christ - and even question his calling. The enemy's attack on the gospel of God, take many forms.. and the shocking attack on the teachings of Paul, then as now, must be resisted and rejected. 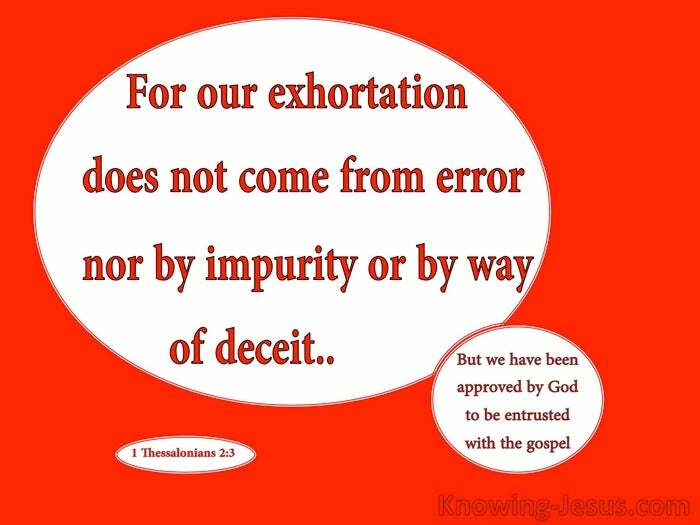 Paul himself wrote: our exhortation does not come from error or impurity or by way of deceit; but just as we have been approved by God, to be entrusted with the gospel - and so we speak, not as pleasing men, but God, Who examines our hearts.